Another international firebrand who has kept ties with Belize returned for a visit on Monday. Leader of the Nation of Islam Louis Farrakhan is meeting with various community groups and educational institutions over the week. Today at the University of West Indies campus in West Landivar, Farrakhan spoke to activists who normally take their issues to the picket-line. Members of COLA, BGYEA were amongst the guests who had an opportunity to engage in a dialogue with the Muslim leader about the topic which focused on their participation in democracy. Farrakhan touched on politics but his message included deconstructing the nation’s song, the Land of the Free. This hate monger racist terrorist troublemaker should never be allowed into Belize. Maybe he will go buy some johnny cake on the corner. Di man makes a very good point in what he is saying and it pretty much correctly summarizes our situation and we know it. Now what do we do about it? Is he talking about the UDP or McAfee? It’s not the foreigners taking our land it is this corrupt pm and gov. Selling out our land for greed because they thief so we have to get rid of this cancer. Even The Lord said if your eye causes you to sin pluck it out . Same here if this gov. Is corrupt pluck them out. Tell them Minister Farrakhan!!! Speak the truth, even though some do not want to hear it!! Here are very sensitive issues loaded with facts. The minister is pointing out the facts of the matter and it is so sad that so many Belizeans would rather focus on foolishness. So many people are suffering due to lack of knowledge. You people are easy to brainwash no wonder the u.d.p are still in power. This guy is the devil. I dont know much about him and I am not interested on googlyng his name. A country is made by severall ethnic groups that work together in peace. I dont see bad that other people come here and give jobs. Imagine if we were still under the queen? England just took out of Belize what they wanted because of them we have a problem with Guatemala. Look into your history and you will see. I have no respect for this trouble maker that lives off stupid people. Go back to Africa or wherever you come from solve the problem there and then maybe come and talk to us. I don’t like this guy but he does make sense! Narrow-minded Belizeans! Haters are gonna hate winners are gonna win. Sadly too late. Ambergris Caye has already been colonized, it feels like a texan island. Seems the only stopping point is the fact that many americans are unable to vote in elections. Parts of Corozal are similar. This is not just a Belizean thing, huge chunks of south america have been purchased by americans. It really is the modern way to colonize, before we will know it, they will keep Belizeans to service tasks only…look at Playa in mexico (and san pedro here). Did you all get the message? no i don think so. @ not again, you say “…I don’t know much about him and I am not interested on googling his name…” Then you label Minister Farrakhan a “trouble maker.” My question to you is, why are you speaking about what you clearly admit, YOU KNOW LITTLE ABOUT??!!! And, Why don’t YOU GO BACK to the home of your ancestors???!!!! 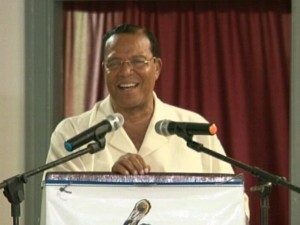 You call ppl stupid because they welcome Mr. Farrakhan, yet you yourself do not sound too smart at all!!! base on the comments I see ,it really hits the spot for those one’s that are guilty. Belizeans it all start with us, and I mean true Belizeans, it is anyone that really cares about Belize, Our children could have the best education that your money could get them, does not matter is it is easy money or hard working money. but if Belize continues the same road or way, Our children education wont matter, our next generation will find there self under a well modernized slavery, as some of us already do. @ not again you say, “….I don’t know much about him and I am not interested on googling his name…” So why are you making judgements on what you CLEARLY ADMIT, you know LITTLE ABOUT??!!! And, why don’t you GO BACK to the country of YOUR ancestors!!!?? You call ppl stupid because we welcome Mr. Farrakhan, yet you yourself don’t sound too smart at all!!!! I didn’t and won’t attend any speech by him, but I studied him enough over the decades to know his overall message is racist and divisive, misogynist against women, and anti-Semitic. We may not have a large Jewish community here, but my Savior was called Rabbi before He was crucified, and that kind of hate is wrong in so many ways. But on this little snippet of Farrakhan’s message, I am almost surprised that Barrow let him in — he is really saying the same thing many of us have said on this post, that we have enslaved ourselves in a failed state, and the keys to our chains are in our own hands — rise up and throw off ALL corrupt parties and hold the corrupt leaders to account. Take back all that they have stolen from the nation’s treasury and resources. But if we do that, we need to pledge to have a new national charter with real checks and balances so when corruption arises again [and with humans, it ALWAYS comes up sooner or later], it can be stopped and PUNISHED severely and effectively, and separation of powers so that the people who enact our laws are not also in charge of carrying them out, and with no immunity for crimes by public officials, and finally, with the limited powers of the government specifically set out. @ Eye in the Sky, “….maybe he will buy some Johnny cake on the corner.” How insensitive can you get??? Didn’t a man just get killed this week, in fact todays’ headlines on this blog, (the FIRST NEWS STORY IS, “SHOT IN THE hEAD WHILE BUYING JOHNNY CAKE”) and you wish that upon someone you disagree with, and don’t even know. Even though you do not know Mr. Farrakhan, you say he is a “…hatemonger, racist, terrorist…I don’t know you, but from the comments you made, you sound like you are describing yourself!!!! @ Storm, Christians also conquered many ppl and countries, holding the bible in one hand and a sword in the other. That kind of hate & deception are also wrong!! !l Why is it that whenever a black person speak out on the injustices in the past/ and or present, you ignoramasses always say we are racists, or hate mongers. The truth is the truth, even if you DON’T believe it and a LIE is a lie, even if you believe it!!!!! You are extremely judgemental, try shutting up & listening more you might learn something new!!!! I don’t like him much but he’s 100% accurate! This man is a true racist. he has his own brand of Islam. Ask any True Believer about him. He had Malcom X murdered over money and power. He visits the Mennonites, yet has called white people “blue eyed devils” (quote). He thrives on controversy and hate. Obama has distanced himself from Farakhan. Do your own research. It is much easier to hate one another than love each other. In any religion, love is the basic creed. Belize does not need this man filled with anger and hate. We are a diverse people with different cultures. We are free to worship, vote, live in peace and do almost anything moral under the rule of law. 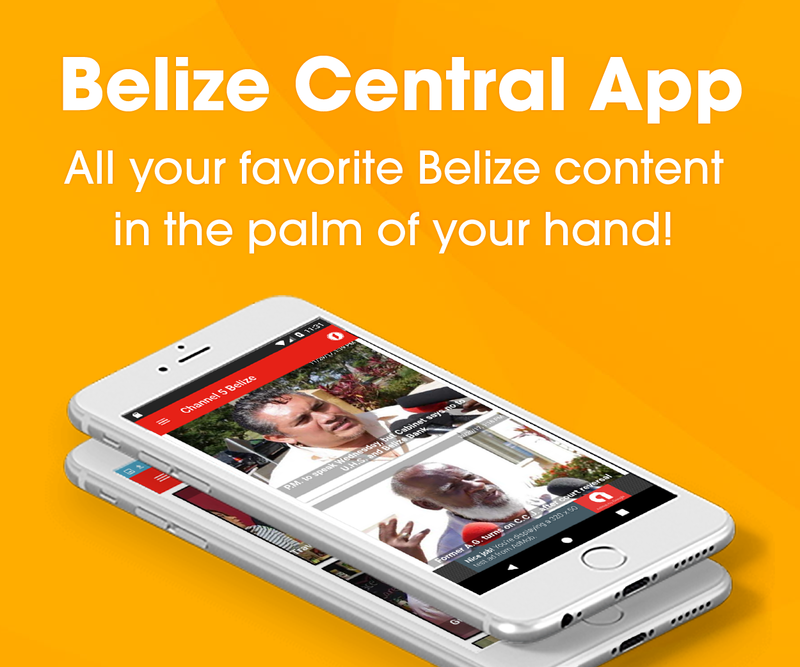 God Bless the people of Belize – a Free Country. @originalwoman. You need to get your facts straight! “killed by a hit ordered by the late Elijah Muhammad”? Where did u get that lie? The Messenger never ordered anyone to touch Malcolm! In fact he gave specific instructions to leave Malcolm and his family alone. The fbi cointelpro had Malcolm murdered. Its funny how people think that after Malcolm left the nation that he all of sudden loved white people. The fbi, cia, still wanted to kill him because he was a threat to them and by him leaving the nation it made it easier to kill him., and then blame the nation . Divide and conquer. They use this ALL THE TIME! Blackman, one thing for sure and I agree with you is that the plan is to divide and conquer….Malcolm X stated in his autobiography that, he receive death threats from both the Nation of Islam . (Elijah Muhamad) and the FBI. You are right, in my haste in concluding he was killed by Minister Muhammad. I disagree with you on saying he found love for whites all of a sudden. He clearly said, under Eliza Muhammad, he was taught Islam religion encluded whites and when he made a trip to Mecca, he found out the contrary. That trip he said opened up his eyes and was one of the basis for him leaving the nation. Many people are so convicted by the truth that they prefer to believe a lie…….. The man speaks the TRUTH!!!!! plain and simple. Unfortunately, It is apparent that most people prefer to believe a beautiful lie than to face the ugly truth. So those quick to condemn remember the truth shall set u free!!!! !